The founders of NFC Helps Me developed the Internet-of-Things application How Do I? while working with children at Swiss Cottage School, Development and Research Centre. The school is one of only 8 schools in the country that have been judged outstanding by the regulator OFSTED on six consecutive occasions, and the only one in London. It is also the only special educational needs school on the list. The company is 46% owned by the Swiss Cottage School charity which supports children with learning disabilities and has a broader vision to promote excellence in special needs education worldwide. The app links a location to learning. Simply tapping a smartphone on an appropriately placed hot pink sticker automatically launches an easy-to-follow, step-by-step instruction video of how to use that appliance or complete that task. Great for teaching life skills to those with additional needs, but also really useful for all of us to guide us through complex, one off or rarely done tasks. From changing a tyre… to making pasta… to relighting the boiler… to assembling flatpack furniture. Anyone with me? The How Do I? team knows a thing or two about accessibility, having over 20 years’ experience working with young people with additional needs. Their focus on independence and life skills gives them a unique insight into how people learn best. The video guides have proven to be a really effective way of teaching; and the app is so intuitive that users find it pretty simple and engaging to use. 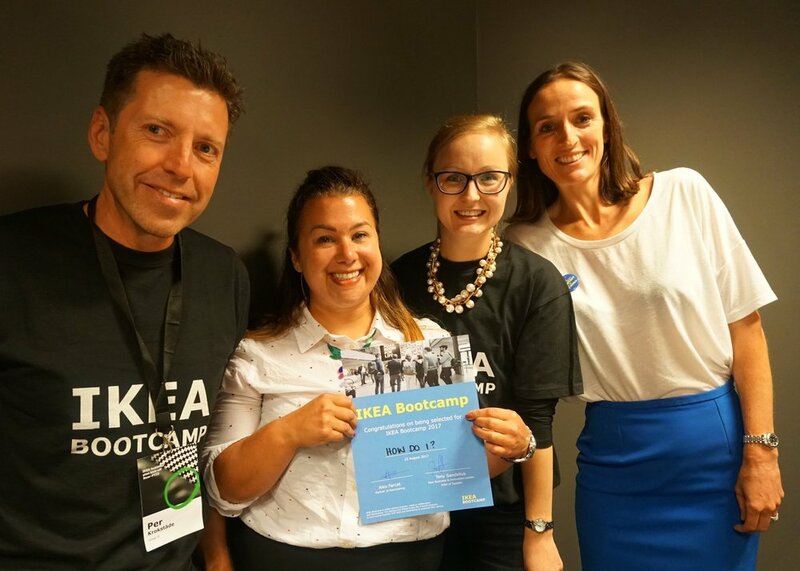 The mission for the IKEA Bootcamp, run in partnership with global entrepreneur cooperative, Rainmaking, is to co-create with startups to solve some of the BIG problems... affordability, accessibility and sustainability.